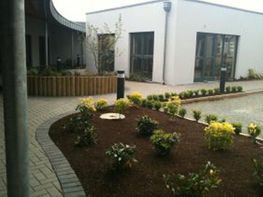 Lawson House Private Nursing Home is committed to providing our residents with peaceful surroundings and the care they require, when they need it. We are located in the beautiful surroundings the Blackstairs Mountains to the West and Bree Hill to the south. With such an amazing location we are ideally placed for our residents to walk our grounds and visit local places of interest with space to reflect and think. We have a wide range of facilities and activities available in our residence from our library to our cinema room and private/prayer rooms. What sets Lawson House Private Nursing Home apart is our atmosphere. There is always something different happening and no day is the same as the last. 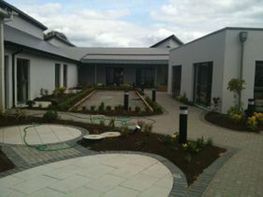 Our Nursing Home provides accommodation for a maximum of 65 residents, male and females, over the age of 18 years. Take a look at our gallery below and explore our beautiful grounds. 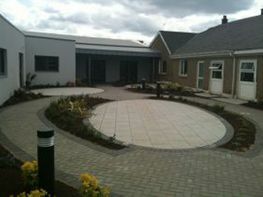 If you have any queries or you would like any more information on the Lawson House Private Nursing Home, please don’t hesitate to get in contact via phone or email and one of our staff will be happy to offer you a consultation on all of our facilities and services available.